Wind mill market is known as the most stringent and challenging requirement setter in the modern industrial world. 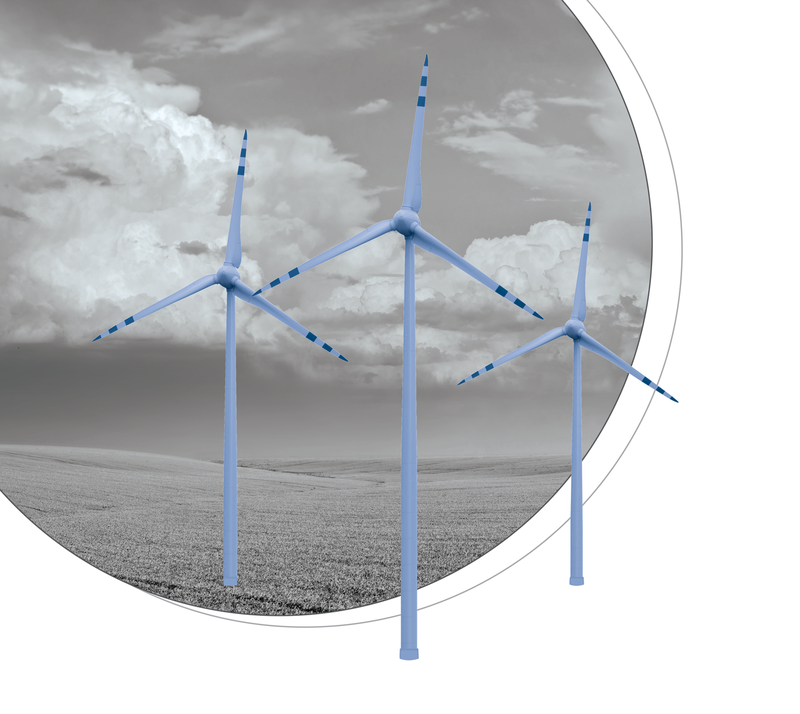 Wind direction, environmental constraints, high reliability, extremely long life span are requirements that call for an extremely deep understanding of the application in its whole and the ability to fine tune on the finest detail. La Leonessa slewing rings are designed according to the experience accumulated in this field and to international rules. Equipped with internal greasing channels to guarantee a continue lubrification of the rolling elements, La Leonessa slewing rings are used in the pitch and yaw positions. Mounted on the base of each blade, slewing ring has the task to modify the blade angle, in order to adequate the speed rotation to the instantaneus strength of the wind. During a complete blade rotation, the slewing ring is subdued to compression and traction stresses. Withstanding compressive loads most of the times, it allows the azimuth regulation of the nacelle, modifying the position with respect to the wind flow.